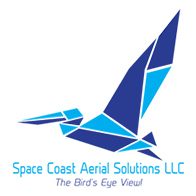 We believe in providing the best photography that you can find here in Brevard County, FL. With unrivaled photography like ours, you can expect great photos that will impress your clients and represent you as the realtor. As always we couple our great photography solutions with a 100% satisfaction guarantee or your money back! Our photography is different from lazy and unprofessional HDR photographers. We use flash photography that gives an authentic feel for your photos. 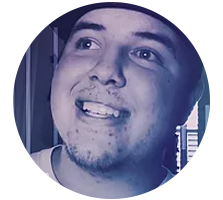 This will present your photos in a warm and inviting photo! Why should you stop using an HDR photographer? Because they don’t value their work because it’s easy and quick. 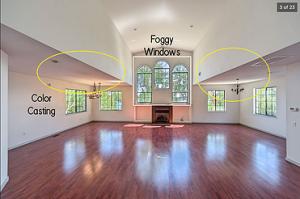 HDR photography was never intended for Real Estate Photography. 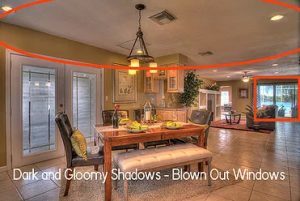 You can easily pick out an HDR photography by the blown out windows, different color hues and color casting all over ceilings and or walls, and lastly the “looney-toon” saturation levels. 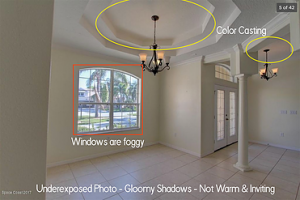 We are committed to revolutionizing the Real Estate Photography world and educate every hard-working realtor in Florida on what good photography is. You deserve good photography that helps sell your listings and represent you. We are servicing the areas within the blue areas. Anything beyond the blue areas as shown, can still be serviced. Please note that we charge a little extra for travel ranging from a $50-$150 fee added. 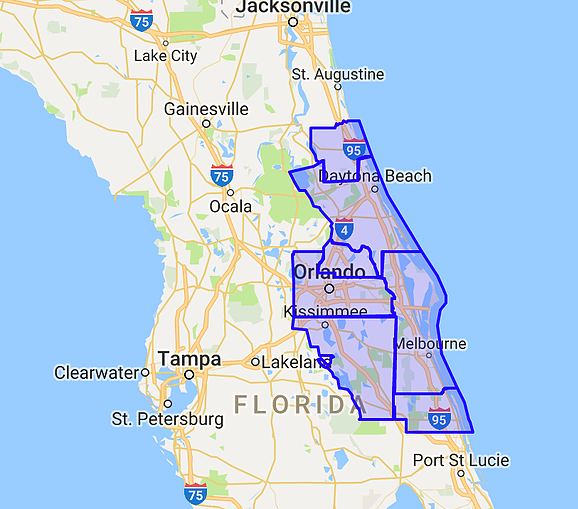 We are currently developing teams to range from Jacksonville, Tampa, and Miami areas.